From the front page of The New York Times to YouTube, Dr. Wafa Sultan has become a force radical Islam has to reckon with. 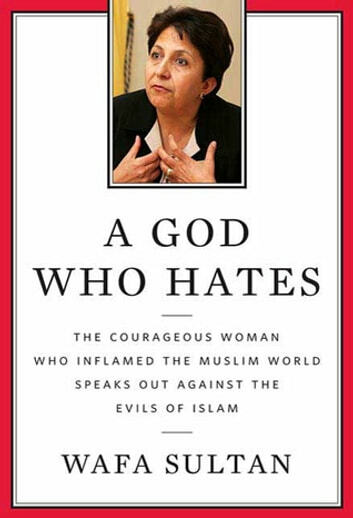 For the first time, she tells her story and what she learned, first-hand, about radical Islam in A God Who Hates, a passionate memoir by an outspoken Arabic woman that is also a cautionary tale for the West. She grew up in Syria in a culture ruled by a god who hates women. "How can such a culture be anything but barbarous? ", Sultan asks. "It can't", she concludes "because any culture that hates its women can't love anything else." She believes that the god who hates is waging a battle between modernity and barbarism, not a battle between religions. She also knows that it's a battle radical Islam will lose. Condemned by some and praised by others for speaking out, Sultan wants everyone to understand the danger posed by A God Who Hates. Iedereen zou dit boek moeten lezen. Openbaringen op elke pagina. Heel helder en makkelijk leesbaar geschreven. Vrij veel herhaling, maar goede informatie moet soms vaker gezegd worden om beter opgenomen te kunnen worden.